With the popularity of technical rebreather diving increasing rapidly and more and more travelling divers seeking new and exciting destinations where they can partake in training, experience as well as enjoying their chosen specialized form of diving, it has become apparent to us that we need to support you. So that in turn you can make the best recommendations for your customers to keep satisfaction and standards at its highest. Bali Dive Trek is a rebreather training facility. We offer some high quality training on Inspiration / Evolution (APD), rEvo and Poseidon. Divers wishing to participate in training will require equipment which may or may not be included in the price of the training program. If the training program is excluding equipment, equipment may be hired in resort (for more information see the individual course outlines and contact us directly). Bali Dive Trek operates a strict MAXIMUM depth policy of 100m regardless of whether divers are diving or participating in training (certification levels allowing). Bali Dive Trek is Bali’s PREMIER full technical and rebreather support center as well as Instructor Training Facility. The courses on offer cater to the inexperienced who desires getting more out of their diving by moving into tech up to the divers wishing to further their knowledge and level of mixed gas exploration. Below you will find a list of core technical courses that are on offer. Rebreather try dive or the action day offers divers who have no experience with rebreathers to find out more about this revolutionary style of diving. It is an easy, safe and highly addictive way to try silent diving. Divers are given a theoretical overview of rebreathers, the types, what they do and the mechanical principals behind them before taking part in either 1 or 2 dives with an instructor. The costs cover everything including the unit and diving. Easily done in the afternoon or on your last day the decision is one or two dives? This is the entry level user certification for safely planning and executing rebreather dives. Divers will be guided through such skills as. This course takes 8 dives and includes Air, Nitrox and Oxygen. The Trimix CCR Diver program is the pinnacle of underwater exploration. In the last few years nearly all of the world’s cutting edge exploratory dives in wrecks, caves and the depths of the abyss have been conducted using rebreathers. As a certified Trimix CCR Diver your are allowed to conduct mixed gas dives to a maximum of 100m with an open ended decompression requirement. During diver training our highly experienced team will ensure that the individual’s level of knowledge and skill is able to conduct such extreme dives. Our team will be evaluating such things as skill proficiency, risk awareness, equipment handling, dive planning and gas consumption calculations before testing reactions with realistic emergency scenarios. A few try, not all succeed. We offer the CCR mod 2 and 3 training in combo. This course is based on 9 days – 12 Dives and you need to satisfy to the prerequisite of the mod 3. Rebreather cylinders. We stock rebreather cylinders compatible with most rebreathers (payment in resort). Dedicated technical and rebreather storage and set-up area. Technical and Rebreather guides available. These are just some of the reasons why Bali Dive Trek is the PREMIER technical and rebreather diving facility on Bali. Technical and rebreather diving by divers for divers. 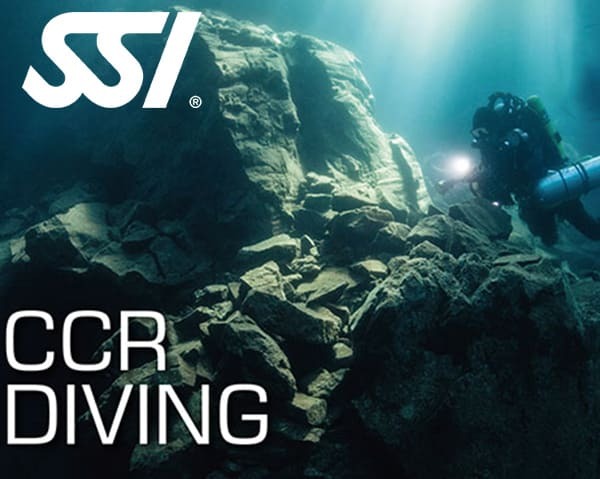 We offer guided CCR dives for certified divers to the limit of your training. The price of these dives depends on the level of your training. All dives include on board gas (except for helium). Renting a DPV for certified DPV divers is also an option for an additional 630.000 IDR per day. All of these prices do not include: Pump Fees, Helium, or Absorbent.